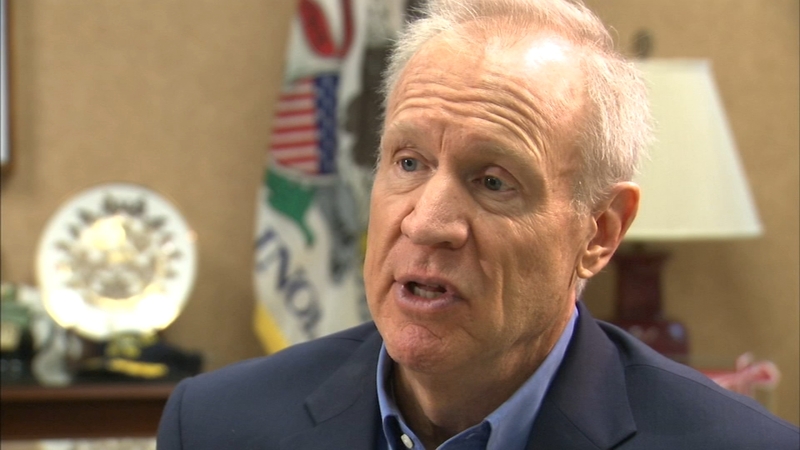 Bruce Rauner spoke exclusively with ABC7 Eyewitness News Political Reporter Craig Wall about how he considered not running for reelection and even tried to recruit another candidate to run. Rauner said the job of governor was the hardest job he’s ever had, and he certainly won’t miss the stress. He even went so far as to try to give himself a way out of the rigors of running for reelection. On January 13, Rauner will become a private citizen again after losing the election to JB Pritzker. He said it was a difficult night, but perhaps not the most humbling thing that’s ever happened to him. “Um, I don’t know about that. But it’s certainly painful to lose,” he said. One thing he wasn’t, however, was bitter. “Not at all,” said Rauner. Rauner said he is not a quitter and considers himself one of the most persistent people you will ever meet, but despite that he made this stunning revelation: He seriously considered not running for reelection. “This election cycle, I knew it was gonna be very difficult, I knew that early in 2017. Very, very difficult to win, this election cycle and over the course of the election I actually went to two women and two men who I knew well, two who were successful in elected office two who were very successful in business and in law, and asked them to run for governor,” he said. Rauner said all four, whose names he would not reveal, turned him down. Wall asked Rauner what he would do differently if he could do it all over again. “What I’m gonna do is actually give time to reflect. Frankly, I’ve been so focused on governing and messaging in the moment I haven’t done as much reflecting and analysis of the last six years,” Rauner said. Rauner also spoke about what he learned about his political nemesis Mike Madigan. “I learned that working with him directly won’t get the result, he responds through his caucus. Pressure through his caucus is the way to get the Speaker to move,” he said. And while election night was painful, Wall wondered if First Lady Diana Rauner was perhaps relieved. “You know on election night, I had many friends and family call me and say congratulations and condolences,” Rauner said with a laugh. Rauner doesn’t think the future of the Republican Party is necessarily clear at the moment either. “That’s a good question. There’s gonna be a lot soul searching, a lot of battles, a lot of debates and arguments,” he said. As for his future plans, the governor said will attend Pritzker’s inauguration on January 13, but after that he will take time off to spend time with family and friends – something he said he has not had time to do much of in the past six years while running for and then being governor.